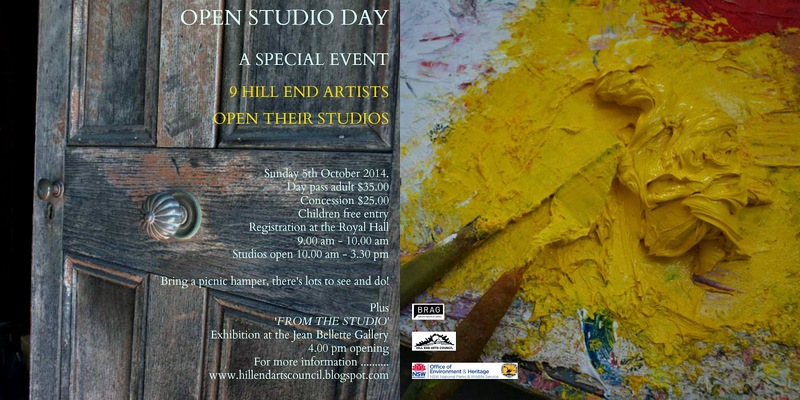 Here is your chance to see the talent that is in Hill End today. Nine Hill End artists will open the doors of their very special creative spaces where you can see how they sculpt, paint, photograph, create ceramics and print on their vintage presses. The artists will celebrate with an exhibition opening at the Jean Bellette Gallery at 4.pm. Come along and meet the artists. Entry is $ 35.00 for a day pass and $25.00 concession. Children under 12 free entry. Tickets are available from 9.00am onwards at the Royal Hall, and the studio’s close at 3.30 pm.